The mission left on Jan. 31. 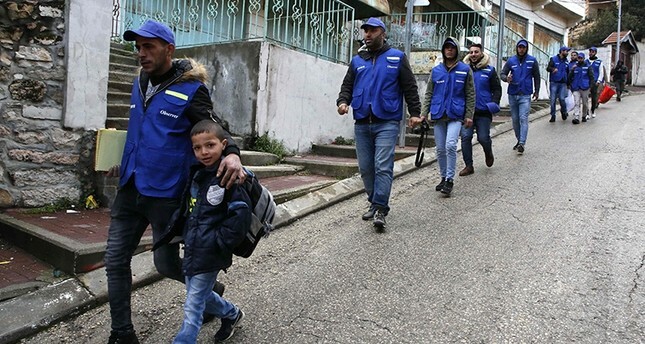 Palestinians from the Youth Against Settlements organization accompanied children to schools in vests with the word "observer" written in English, Arabic and Hebrew, an AFP photographer said. "Today we started a local campaign to document violations that children going to school are subject to in this area where there are always settlers and the occupation army," Issa Amro from the organization told AFP. TIPH was created after 29 Palestinian worshipers in a mosque were gunned down by an American-born Israeli settler.